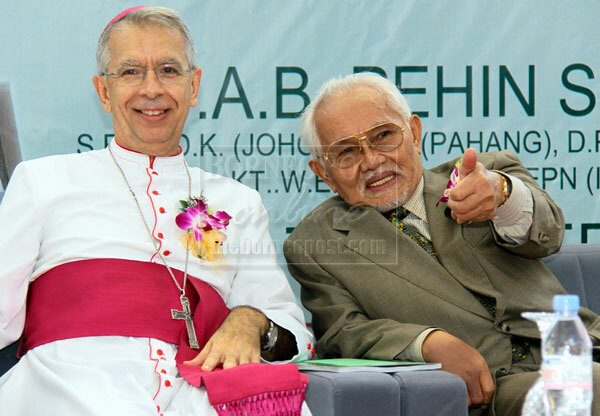 KUCHING: St Joseph’s Private School Kuching (SJPSK) is set to be a premier platform for unity among people of different races and religions in the state. 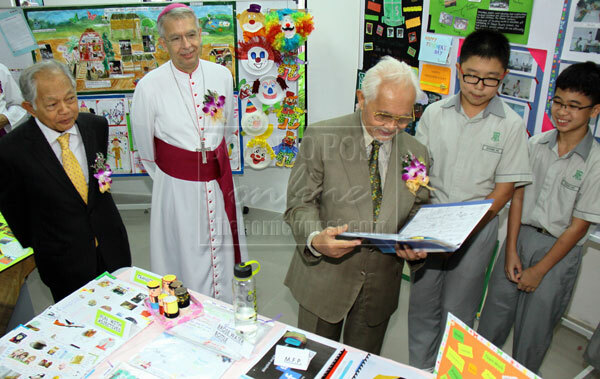 Pehin Sri Abdul Taib Mahmud who said this when officiating at the opening of the school yesterday added that it would also be a catalyst of the state’s development through its excellent educational achievements. He said this was because students and teachers put aside their cultural differences in their commitment towards achieving excellence in their education and moral development. Taib is optimistic that St Joseph school which was founded in 1882 would continue its tradition of fostering unity and understanding among the different races in the state. The new building which is estimated to cost around RM13 million is awaiting for the Occupational Permit before the students could move in. The major contributors to the building fund were the Federal Government with a grant of RM3 million, Archdiocese of Kuching (RM3 million), The Community Chest (RM2 million), KTS Building Foundation (RM1 million), YTL Power Generation (RM1 million), Glen Marine Enterprise (RM500,000), Diocese of Malacca-Johor (RM175,000), Estate of Fr Joe Tan (RM123,625), Raymond Wee Seng Bin (RM100,000), Tan Sri Leonard Linggi Jugah (RM50,000) and Datuk Wong Kie Yik (RM50,000). Prior to the opening ceremony, Apostolic Nuncio to Malaysia, Archbishop Joseph Marion led a mass and the blessing of the school. Also speaking at the opening ceremony was the St Joseph’s Private School Management Berhad board of directors chairman Tan Sri Leo Moggie who said that the new four storey school building would be the permanent site of the school. St Joseph’s Private Primary School and St Joseph’s Private Secondary School started classes last year using the former St Bernadette School as their temporary premises. “We have at present, classes for Transition, Form one and two in the secondary school and Primary one to three in the primary school,” said Moggie. He disclosed that the school would add four more classes for Form one and three more classes for Primary one adding that the school’s secondary classes had reached their limit of 35 students per class while the primary classes had also reached their limit of 30 students. The new school building has with 24 classrooms, four science laboratories, two workshops for living skills, computer laboratory, a lecture theatre, library and a chapel. “Good grades would be nothing if we do not produce students who care for the needs of the society and who are committed to make that society a better place,” said Moggie. Moggie also thanked the federal government for its grant and private companies and individuals for their donations. Also present during the official opening yesterday were Taib’s wife Puan Sri Ragad Kurdi Taib, Apostolic Nuncio to Malaysia Archbishop Joseph Marino, Archbishop Dato John Ha, St Joseph’s Private School director Gerald Lee, St Joseph’s Private Secondary School principal Father Francis Lim Chin Choy and St Joseph’s Private Primary School headmistress Sister Odilia Ngui Hua Seng. Next Article Golden Calls: Will China embrace a champagne iPhone?